One tool. All your key metrics. Databox makes it easy to keep all your business’ key metrics front and center -- no matter where they’re stored. 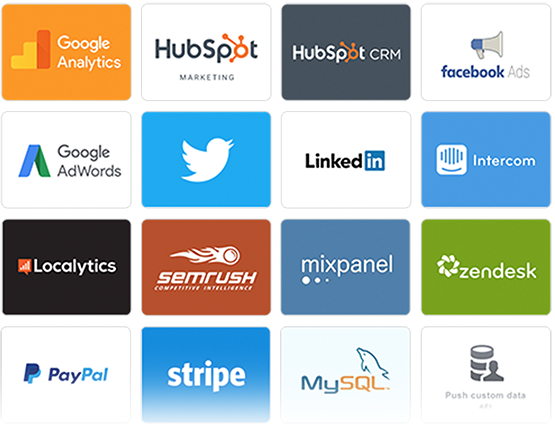 From Salesforce to Google Analytics to your own custom data warehouse, integrating your data is a breeze with Databox. KPIs where you need them. 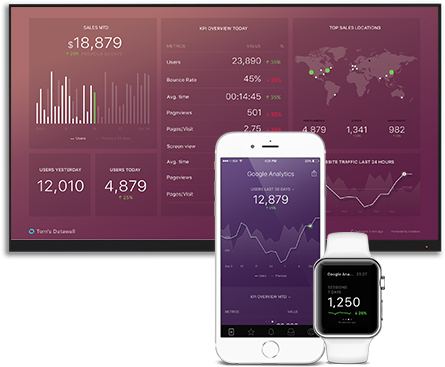 With beautifully designed apps that are optimized for mobile and sleek Datawall displays that present data to your entire team, making sure the business has access to the data it needs has never been easier.